An agreement announced on Monday between the operator of the Huis Ten Bosch amusement park and the governments of Nagasaki Prefecture and Sasebo City in Japan – regarding land for a casino project in the region – “comes as no surprise”, says Japanese brokerage Nomura. The Huis Ten Bosch theme park (pictured in a file photo) is operated by Huis Ten Bosch Co, a subsidiary of Japan-based HIS Co Ltd. The facility – located in Sasebo – replicates famous buildings and architecture from the Netherlands, but in a semi-rural Japanese setting. Huis Ten Bosch and the governments of Nagasaki Prefecture and Sasebo City announced on Monday an agreement to designate part of the land and buildings of the Huis Ten Bosch theme park as a candidate site for a casino resort. No financial details for the deal were provided. A maximum of three resorts – known in Japan as integrated resorts or “IRs” – will be permitted under the first phase of market liberalisation. According to information previously gathered by GGRAsia, there should be in August an announcement regarding how the national government will go about selecting locations for the initial resorts. In late 2019, local governments would be expected to make public their respective criteria for selecting commercial partners they will work with when pitching a project to the central government. The “request for proposal” (RFP) stage – where local governments will solicit bids from would-be commercial partners – is expect to start in November or December, according to existing information. “Having considered sites that meet the [national] government’s criteria for integrated resorts [Huis Ten Bosch and the governments of Nagasaki Prefecture and Sasebo City] look to have chosen a site of 30 hectares [300,000 square metres] that encompasses the [park’s] harbour area and Hotel Europe,” Nomura analysts Junko Yamamura and Susumu Sakakura wrote in a note following the announcement. The Nomura analysts noted however that it was still “too early” to discuss the potential impact of the deal on the HIS group. “Once detailed development plans have been drafted and submitted, based on proposals from the integrated resort operating company, the land will be sold to the local governments, provided the [national] government actually selects the site,” the Nomura team stated. “Given the current schedule for integrated resort reviews, we think the final decision [from the national government] is unlikely to be made until 2022 at the earliest,” they added. 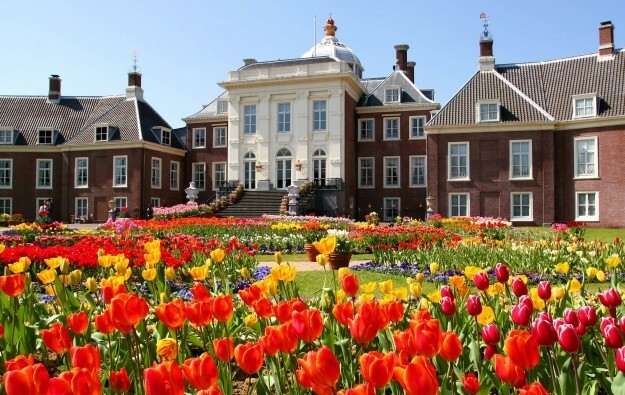 In December the Nikkei Asian Review newspaper reported that Chinese conglomerate Fosun International Ltd wanted to buy a near-25-percent stake in Huis Ten Bosch. According to that account, Fosun was interested in trying to bring up to 200,000 Chinese visitors to the Huis Ten Bosch park annually, relative to the 184,000 foreigners from all markets currently said to visit the attraction each year. In February Huis Ten Bosch Co stated it was no longer pursuing a deal with Fosun International.